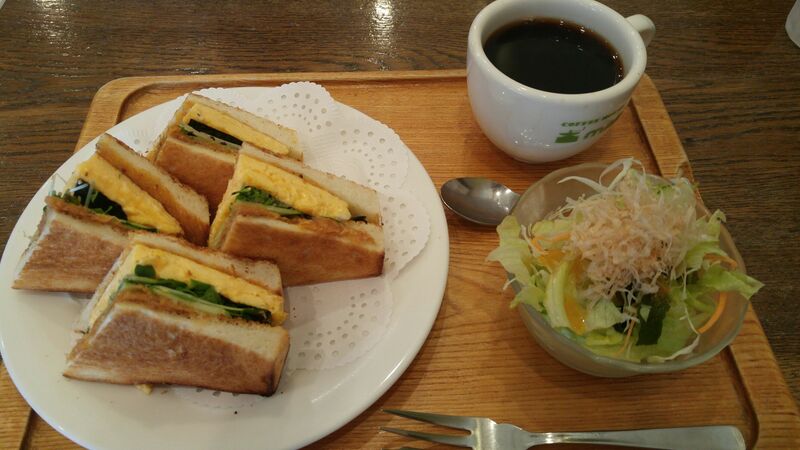 Gastronomic Destinations: Brunch at Coffee House Maki in Kyoto! Strong points: Morning/brunch sets/ sandwiches/fine coffees/take-outs. 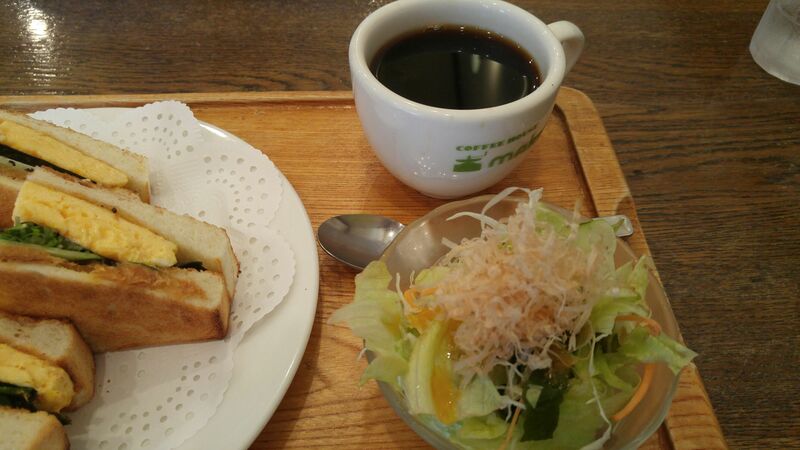 Coffee House Maki in Kyoto is an extremely popular cafe in Kyoto for many reasons. 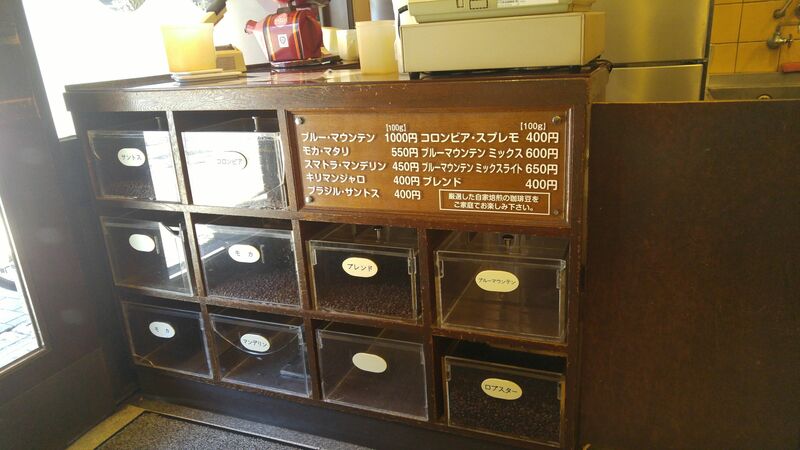 First of all,in my own biased opinion, it has successfully preserved its “Showa Era” atmosphere over the years to the point you definitely experienced a time slip every time you enter the establishment! Having lived 40 years in Japan it certainly brings back many memories! interestingly enough the smoking half area (oh well….) consists of long sofas against the wall while the non-smoking half consists of tables and chairs. Fortunately Sundays are completely non-smoking! 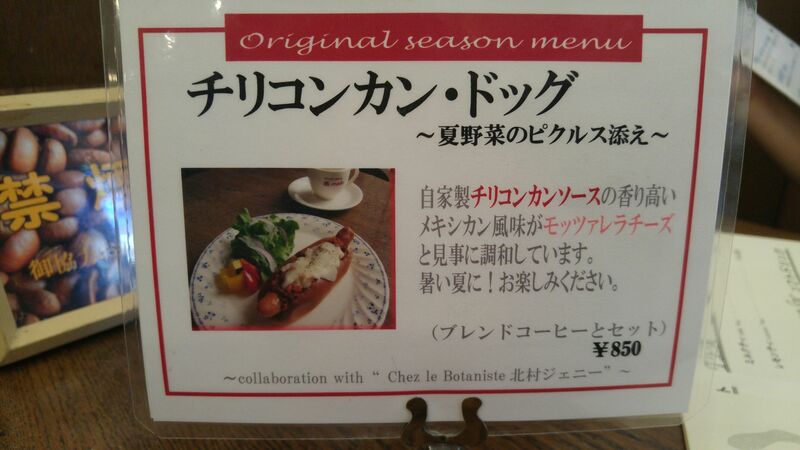 Another reason is that they add seasonal sets on top of a an already long menu (for a cafe) and it is no wonder that the place is mainly, on weekdays that is, patronized by locals and regulars who all seemed to be known by name by the smiling staff! Incidentally, this is still a place where slow food is the name of the game, so do take your time! As we had had no time for breakfast, we decided to order two different sets as brunches! Dragon opted for the hot sandwich set! 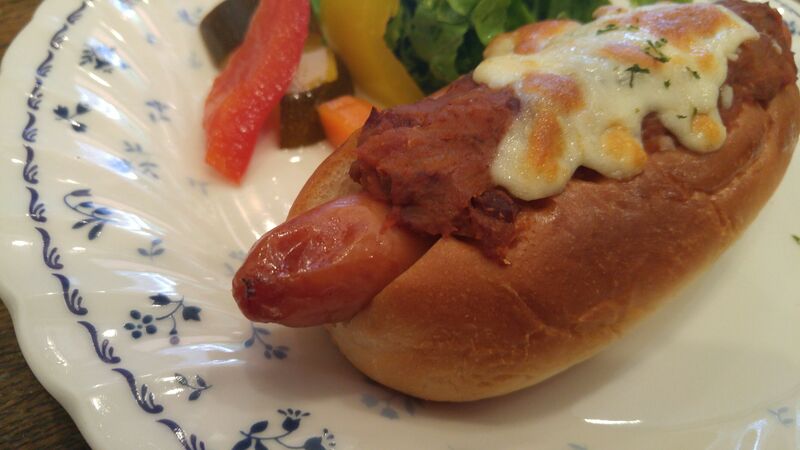 Served with salad and coffee! Special for the coffee by the way! Dripped coffee of course! 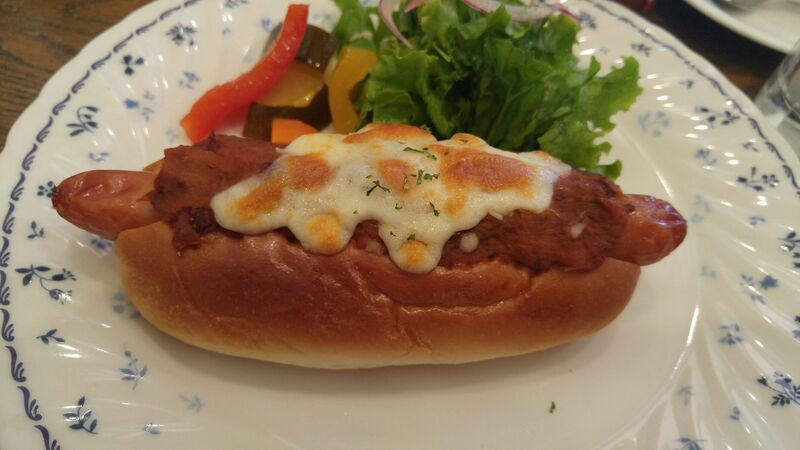 For all its apparent simplicity the hot sandwich was succulent ( I stole a portion of course!) 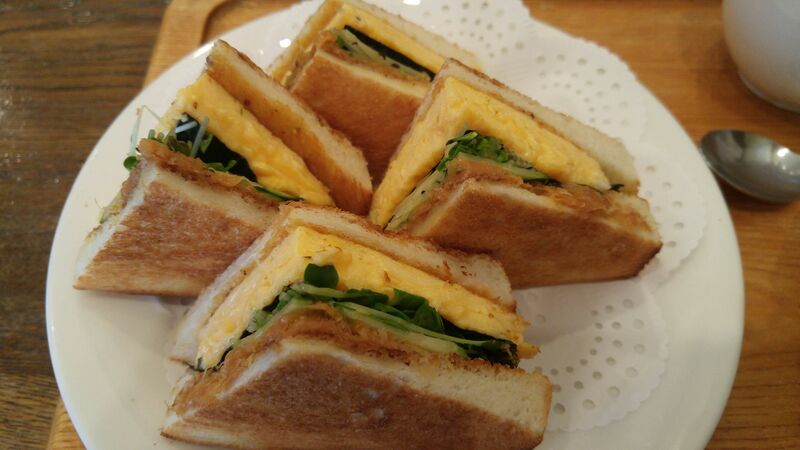 with fluffy eggs and three more fillings! 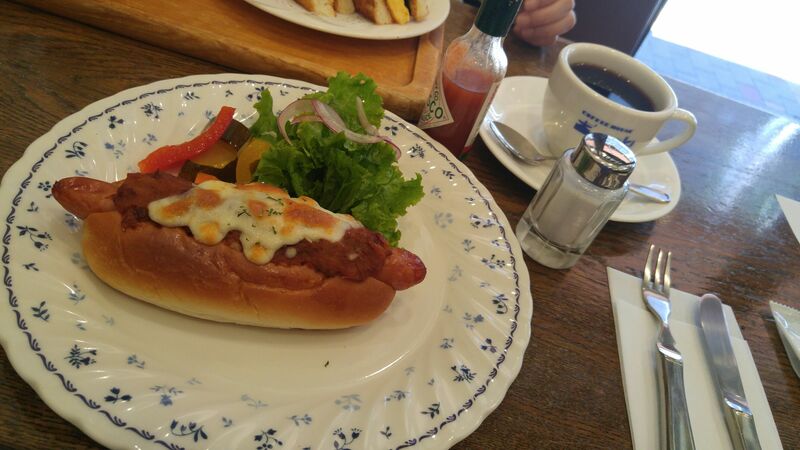 As for me, I ordered the “Chiri Kon Kan Dogu”, that is the Japanese for Chili con Carne Hot Dog! Simple enough again, but they make a point of creating their very own chili sauce and use locally grown vegetables! Just the right size and taste for breakfast or a light brunch! No wonder the place is always crowded! 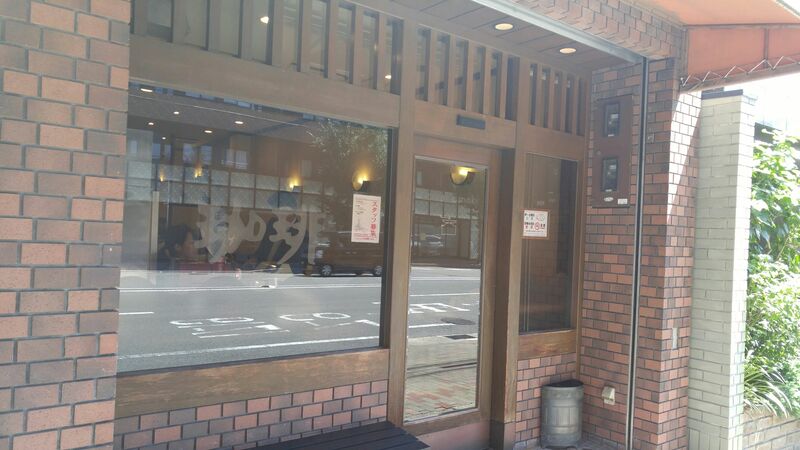 Previous PostGastronomic Destinations: Dinner at Ikariya Shokudou in Kyoto!Next PostGastronomic Destinations: Dinner at Yuki Gion Izakaya Restaurant in Kyoto City!